Buzz has certainly been building around the Digital Trends office as we gear up for CES, and it appears at least one company couldn’t contain its excitement. LG is ready to announce a slew of new monitors way ahead of the Vegas tradeshow in January, opting instead to let the hype build over the next month. 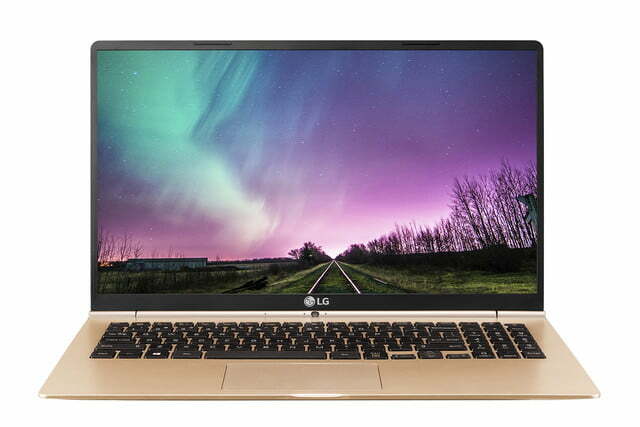 First up is the new LG laptop, the Gram 15, which comes in at just 2.16 pounds despite a 15.6″ 1080p IPS display, and choice of Core i5 and i7 processors. Apart from the standard Wi-Fi, Bluetooth, HDMI, and MicroSD, the Gram 15 also has an optional USB Type-C port for charging and data transfer. The Gram 15 is only sixth tenths of an inch thick, as well. Overall, it should be the lightest 15-inch laptop to hit the market. Even the Dell XPS 15, already near the lightest of its breed, weighs 3.9 pounds. Battery life should hit seven hours, which is average for the category. 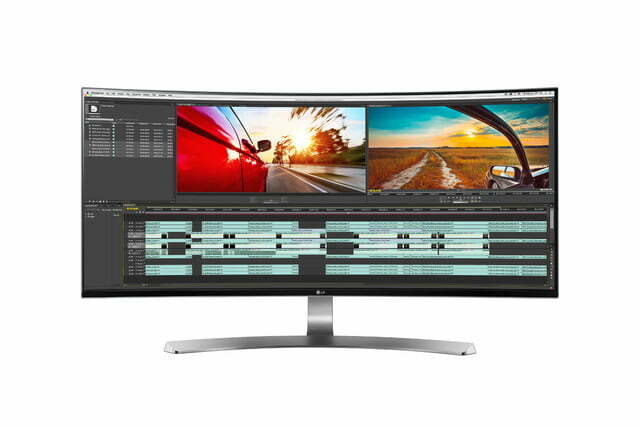 Also entering the LG family is a 4K monitor, the UD88 (available in 27-inch and 32-inch models), which supports display docking over USB Type-C, an increasingly demanded feature in modern systems. The IPS panel has UV optical processing, lending the contrast an extra 30 percent boost. LG claims the screen hits major benchmark points like 350 nit brightness and 99 percent of the sRGB spectrum. For added value, the screen also supports AMD FreeSync and VESA AdaptiveSync for smooth-as-butter gaming and media playback. Finally, an ultra-thin 2.5mm bezel lends the monitor a subtle, professional look. An entry-level 4K monitor, the 27UD68, will also be available. It will include most of the features of the 27UD88, but will be lacking some more advanced color setting options, such as Rec. 709 standard support. It also won’t come in a 32-inch variant. For those who’d prefer not to make the leap to 4K, LG also announced three new 21:9 UltraWide displays with 3,440 x 1,440 resolution; the UM98, UC88, and UM88. In addition to the extra resolution boost to 1440p, the UC98 and UM88 will have ThunderBolt compatibility. The UC88 will have FreeSync support, and come in a 29-inch or 34-inch size. The other two will only be available with a 34-inch panel. It’s an impressive lineup of new offerings from LG, a company that’s just starting to take the PC market in America seriously. No word on release information or pricing for any of the products above, but they’ll be at CES, so we’ll make sure to put hands on them when we’re there and report back on how the new kid on the block is shaping up.